Daisylane Master Bedroom by Le Toy Van. 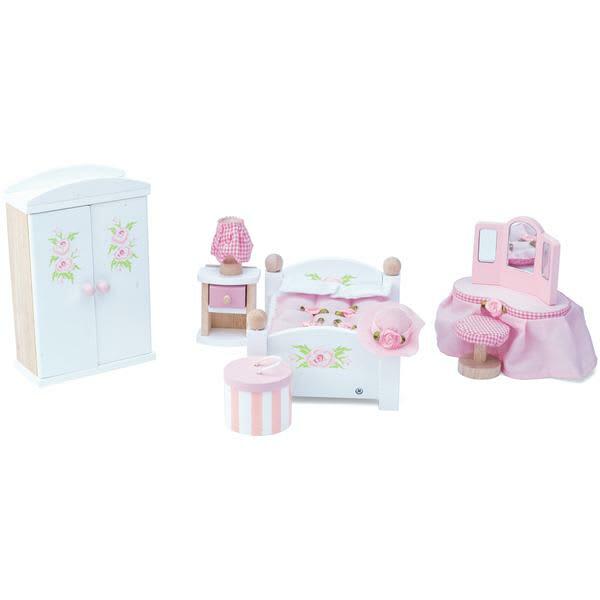 A painted wooden furniture set including, a double bed with rose-bud duvet & pillows, a wardrobe with hangers, dressing table, and a bedside table. My Small World in Bath, United Kingdom.